We want to thank you again , if you have purchased from East Texas Crafters. If you will click on the PRODUCTS tab above you will be taken the Products Page. Just Click on the item you would like to purchase, then Click on add to cart Button. When you finish ordering, you can view your Shopping Cart, and then just click on the Check out with paypal button and your order will be processed and speedily shipped to the address you provided on your Pay Pal account. 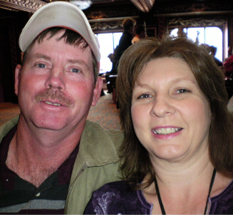 We are Jim and Paula Fullingim and we have been selling craft items at Craft Shows and Fairs for more than 20 years. The Products you see are those that sell show after show and fair after fair, where we attend as vendors, we also wholesale our products to other vendors that sell our products. Our Family has been producing and selling pop guns, as you see listed for over 20 years. Our Family has Sold over 500 thousand of These Pop Guns and they continue to sell year after year. The Pop Gun has continued to be a very Popular Item at all the Craft shows and Fairs that East Texas Crafters attend. If you would like to consider becoming a Vendor Please click on the VENDOR Tab above : and you will be taken to the area to receive information on how to become a vendor. Thank you so much for your Purchase, and if you have any Questions or comments please contact us.